- Sky blue candle, scented with dragon's blood, olive oil, peppermint, musk and saffron. "May I open my mind to receive wisdom from higher powers. Allow their guidance to lead me to peace and tranquility all the days of my life." 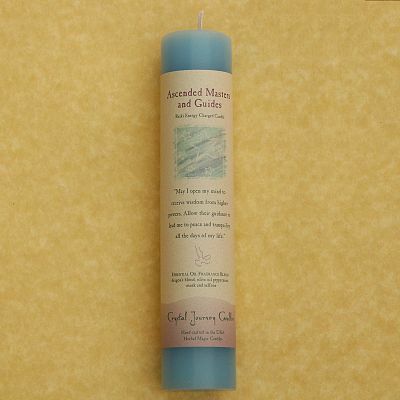 Do you have any other questions about our Reiki-Charged Ascended Masters and Guides Pillar Candle?